Well, we don't see that very often. 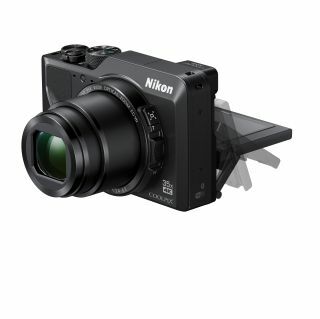 Nikon's latest superzoom compact camera has taken a drop in resolution. The Coolpix A1000 is a success for the A900 - but while many of the specifications remain the same, a key one has been downsized. The resolution of the A1000's sensor is 16 megapixels – a 20% drop on what was offered by the A900. A drop in megapixels may prove to be a good thing in terms of image quality - we will have to wait and see for when the camera goes on sale at the end of this month. The sensor is a relatively modest 1/2.3in in size, and fewer pixels could mean less noise. A welcome addition to the camera, meanwhile, is that the A1000 will be capable of recording RAW files, for better dynamic range and editing potential. This is a feature that will be very welcomed by serious photographers. Just as welcome is the addition of an eyelevel viewfinder, which was missing from the A900. The headline feature of the camera remains the same. A whopping 35x zoom built into a pocket-sized package. The lens offers an effective range of 24–840mm, which is exactly what we look for in the best travel cameras. Video recording, thankfully capable of 4K quality at 30fps, with the ability to shoot at 60fps in Full HD mode. The new eyelevel viewfinder is a high-contrast, 1160k-dot affair which boasts clear visibility. At the back there is a 3 inch, 1036k-dot LCD monitor can be tilted in almost any direction. The A1000 is set to go on sale on 31 January at a retail price of £409 / $479.